> We Finance Pallet Racking! 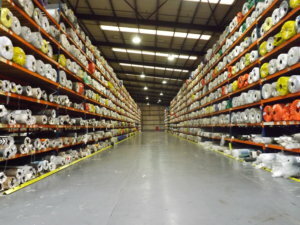 We know that racking can sometimes be a costly solution for you however we also know that it is definitely worthwhile. We know that it will really help to maximise your business space and efficiency. At Advanced Handling we can now offer financing options for all racking orders over ?5,000! Whether it be new or used? it doesn?t matter! We have been through it before but there really are so many benefits to pallet racking! 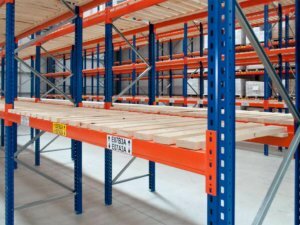 A pallet racking solution can saved you space! The idea is to maximise the space you already have and use it as efficiently as possible. Why move to a larger premises when you can make use of the space above? When you buy or rent a premises, you pay for the square footage. Everything above ground level is free. Why not utilise it? Pallet racking is like driving a car. Strange comparison but hear me out? when it is used correctly it is safe and reliable, however when it is used incorrectly it can be dangerous. When we complete installations we adhere to the SEMA code of practice, ensuring your safety is a priority. 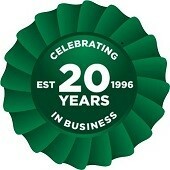 We also organise annual safety inspections and carry out any racking repairs needed. It can also make the working environment safer. After all? you don?t want to be facing a lawsuit! Pallet racking makes the job a lot easier and quicker therefore making the employees more productive. This means that work can be carried out quicker, to a higher standard and may result in you needing less staff, therefore a smaller wage bill! Also if you look at it the other way, you will be giving a better service so could attract more customers. This can increase your bottom line and help to grow the business! Pallet racking is made from great quality materials and therefore extremely durable. This means that it can be used for many many years and can hold a lot of goods. As long as it is looked after and you aren?t smacking into it with fork lifts it should be a solution that lasts and rarely needs replacing. There are so many different systems to make whatever you are storing as accessible as you need. You can get systems which you have direct access to every single pallet or others which are live storage and ideal for high product turnover and perishable items. It can make the job easier and again increase efficiency. Finance is subject to status and for business users only. Only applicable on new and used racking bought from Advanced Handling and Storage Ltd and only available on offers over ?5,000.